The official electronic weekly newsletter includes timely information on upcoming events, member news, dates to remember and more. A great venue for members to advertise information relevant to our community. We recommend our Chamber members and their businesses for those who request information about the area. 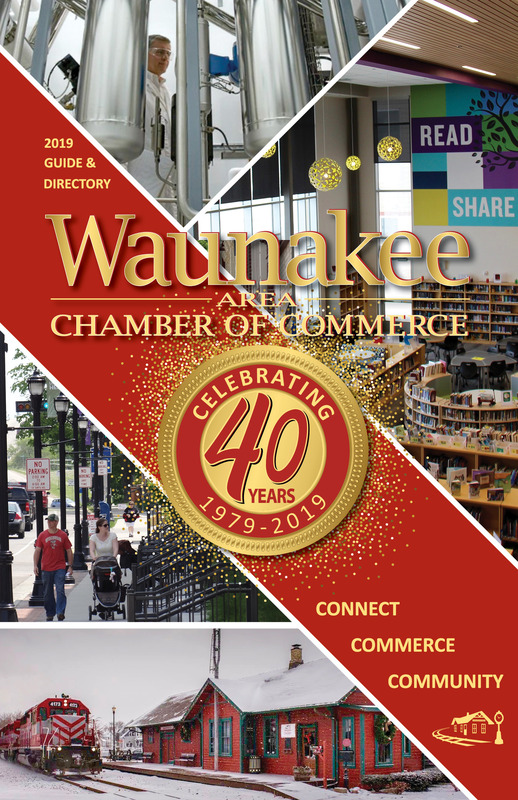 Proudly display your membership with the Waunakee Area Chamber of Commerce directly within your website! Take the opportunity to display the Chamber logo, just copy and paste the decal. The Membership list contains current members and their contact information. This is available to our members through an electronic spread sheet at no cost or as address labels for a cost of $35 per set of labels. Official publication of the Chamber, this informative booklet is distributed to member businesses, new residents and guests to the Chamber office. Advertising is available in the directory which is printed yearly in early spring. The official map of Waunakee is printed every two years and also offers advertising opportunities. The 2019 Community Guide & Directory is here! The updated Waunakee, Westport, Dane County map is also available. Pick yours up today at the Chamber office; open M-F, 9-4. We encourage all our members to bring in your business cards, brochures or flyers. Our lobby is your lobby. We have area to display your business literature as well as local travel & tourism information. Give us your updated information and we’ll make it readily available for all who stop in, business referrals, and relocation packets. 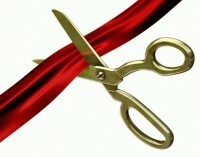 Ground breaking, grand opening and ribbon cutting ceremonies available to members upon request. The Chamber sponsors Depot Days in May, the Chamber Golf Classic in June, the Waunafest Run and the Chamber Beer Garden during the annual WaunaFest celebration in July and Century Ave. Boo Bash in October. We partner with other community organizations with WaunaBOOM, Wauktoberfest and Light the Night with Santa. The Chamber also organizes the Community Awards held in April and gives out these yearly Awards: Orchid Award, Young Professional, Chamber Champion, Business of the Year and Non-Profit of the Year. We also support our schools with two WHS Senior Scholarships given to high school students. Member volunteer and sponsorship opportunities are available. The Chamber hosts networking opportunities for members throughout the year. We sponsor Business After Hours (BA4), Biz & Bevs, Connect4Lunch, Wake Up Waunakee Breakfast series, educational seminars and more. We have Community partnerships with our schools, the Town of Westport & the Village, which benefits all involved. Be listed in the business directory, maintain a link to your website, or post a banner ad. The website averages over 120,000 hits a year! We offer occasional programs designed to keep our members informed on new techniques and business trends. The Chamber is a voice for the business community at Village meetings regarding the area's economic development. We also keep up to date with legislative issues that may impact our business community. Share the cost of advertising with other members throughout the year in our local newspaper and other media. Our new Shop Local Campaign is another great way for co-op advertising! Co-op advertising is a great way to save on costs and still promote our local economy.